세계가 주목한 대한민국이 만든 특허 기타! ▶ 창조 경영인 대상 수상에 빛나는 기타! 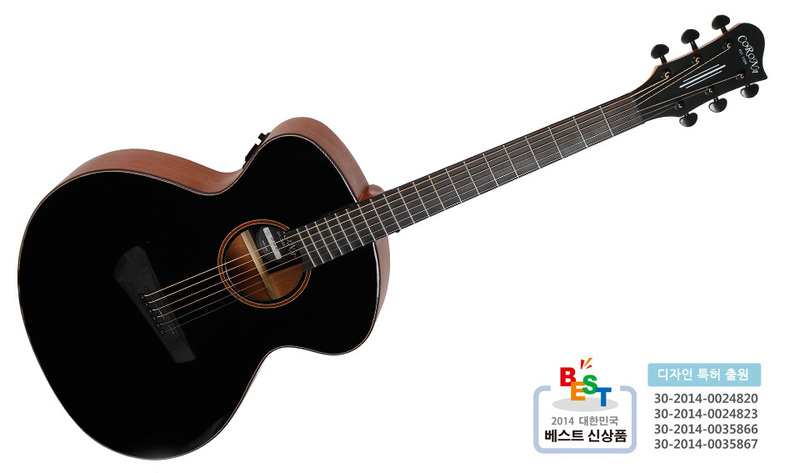 The patent guitar from Korea the world has noted! 스쿨뮤직, "비대칭 헤드리스 통기타 신제품 출시"
스쿨뮤직 "코로나 기타로 세계 기타 시장 이끌 것"
악기도 3D 프린터로? 스쿨뮤직 "3D 프린팅 악기 만들겠다"
아프로디테는 독특한 바디 라인과 함께 작은 사이즈의 획기적인 디자인을 자랑합니다. 가정에서는 아름다운 음악을 흐르게 하는 생활의 활력소가 되어 줄 것입니다. 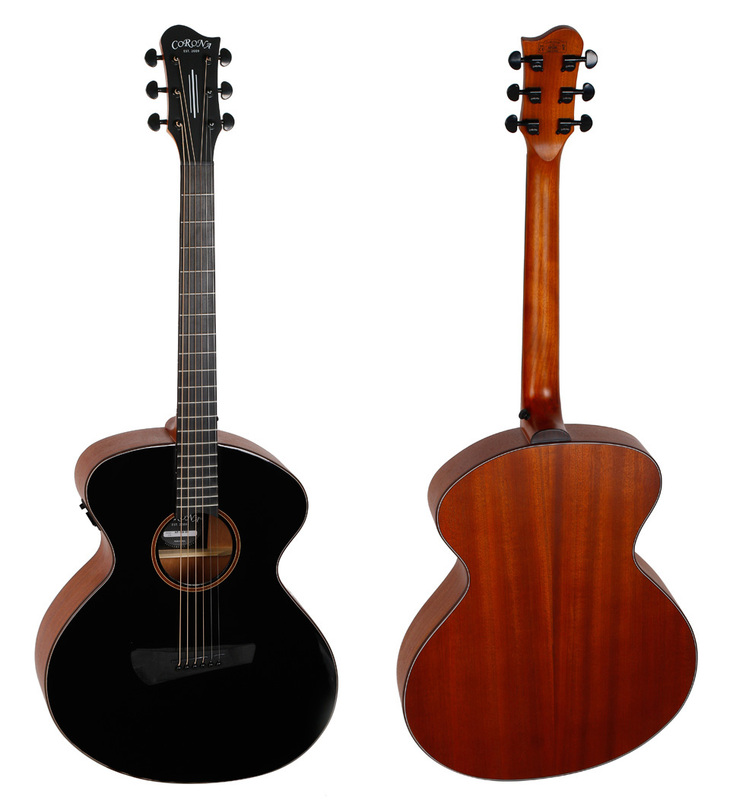 Aphrodite Guitar has unique body design and small size for comfortable playing. 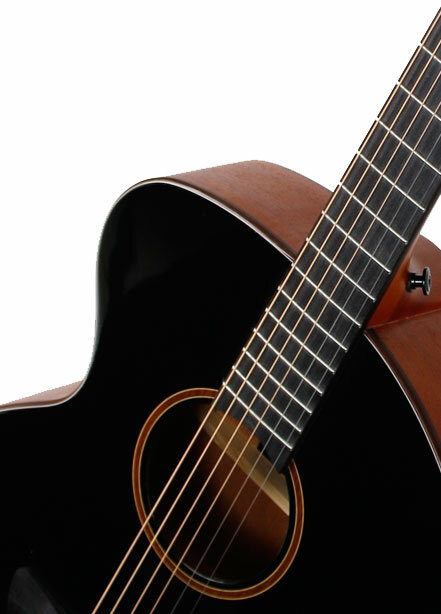 This exclusive guitar can be a hero on the stages and street performances. Also, it can be a good friend for children and an energizer in our home which makes beautiful music. 코로나의 로고가 잘 어우러져 고급스러운 모습을 보여줍니다. 다이캐스트 헤드머신이 장착되어 안정적인 안정적으로 음을 유지시켜주고 무엇보다도 획기적인 디자인을 통해 누구나 편안한 연주가 가능한 더 아름다운 통기타를 완성하였습니다. Anyone wants to keep their distinction. 아프로디테 AP-150 EQ 모델은 기타의 역사에서 100년 가까운 시간 동안 사용되어 온 스프러스와 마호가니 목재로 제작되었습니다. 오랜 기간 통기타와 함께 한 재료로서 그 품질과 음색은 많은 연주자들에게 인정받아 왔습니다. 코로나 아프로디테는 양질의 재료와 코로나의 기술력으로 정성껏 제작되어온 명품 기타입니다. We made Aphrodite heartily with qualified materials. 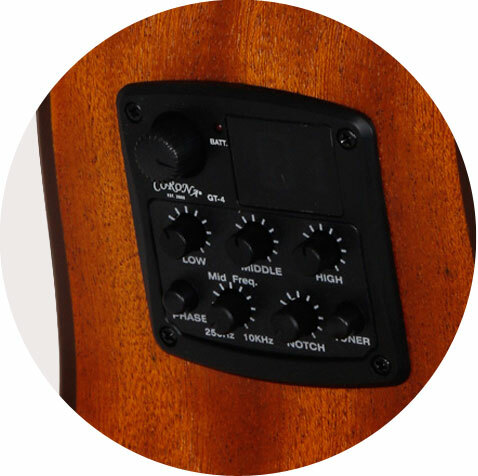 Aphrodite AP-150 EQ model is made of Mahogany and Spruce woods which have been used for the main material of acoustic guitars for a hundred years since it have been approved by its high quality and comfortable sound. Corona Aphrodite guitar is a masterpiece since it is made of high quality materials and Corona's technical skills with our own utmost. 아프로디테 시리즈는 무엇보다 편안한 연주감이 장점인 기타입니다. 촉촉한 감촉과 나무의 은은한 향으로 청각뿐만 아니라 오감을 자극하는 아름다움을 선사해 줄 것입니다. The biggest strength of Aphrodite is so comfortable to play it. 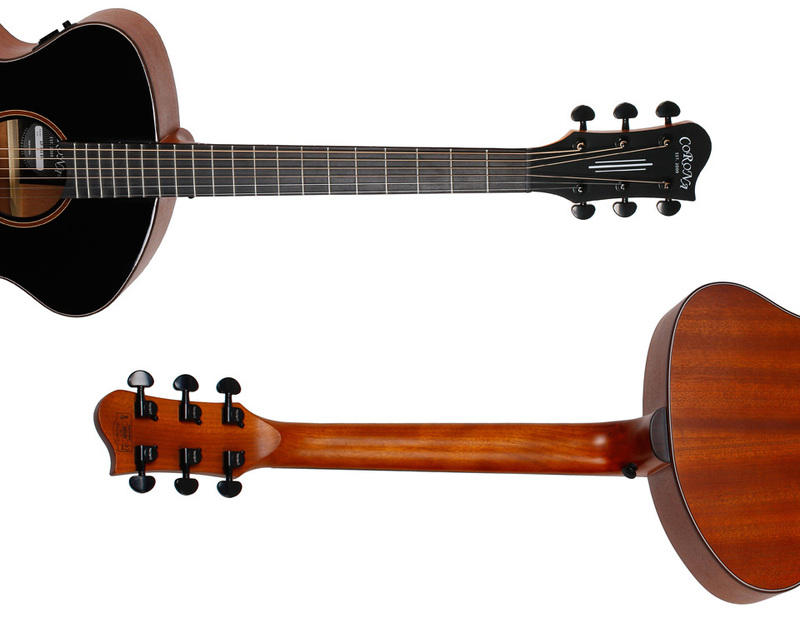 Especially, the neck which is made of high quality mahogany woods provides soft touch and stable feelings so that people can be easy to play the guitar. Aphrodite Original Bridge 는 기존의 통기타의 디자인과 달리 곡선형의 디자인과 함께 바디와 접촉되는 면적이 넓게 설계되어 줄의 울림을 아주 효율적으로 전달해 줍니다. 소리와 아름다운 디자인을 모두 고려한 아프로디테만의 특징입니다. 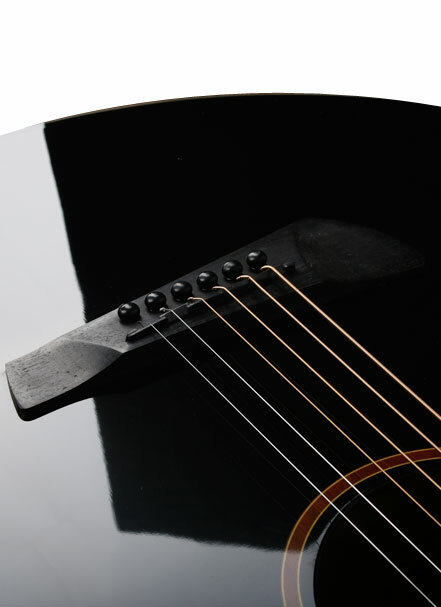 The 'bridge' of guitar let strings be fixed and deliver the resonance to the body firstly. Therefore, the 'bridge' is a very important part of guitar since it determines the guitar's tone. Aphrodite Original Bridge is designed as curved type with wide surface so that it delivers the resonance of strings very efficiently. 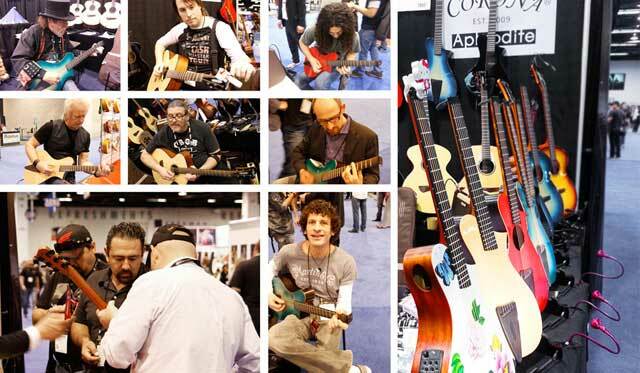 It is only made for Aphrodite guitars considering beautiful sound and design. 가슴을 뛰게 만드는 큰 소리를 내고 싶으신 분들을 위해 장착된 CORONA GT-4 프리앰프는 기타 앰프에 연결하여 대규모 공연장에서 사용할 수 있을 만큼 큰 볼륨을 내 줄수 있습니다. 또한 내장된 튜닝 기능으로 별도의 튜너 없이 정확한 조율을 도와줄 것입니다. CORONA GT-4 pre-amp which is mounted for people who want to produce a loud sound beating your heart can make a big volume and can be used in the concert hall when it is connected to the guitar amplifier. 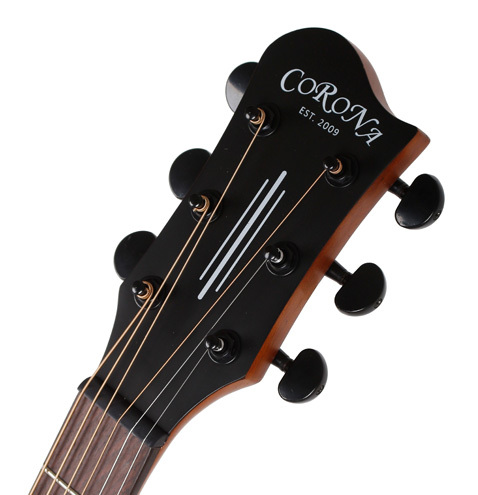 Also, the inner tuning function would help your guitar always stay in tune without an additional tuner.